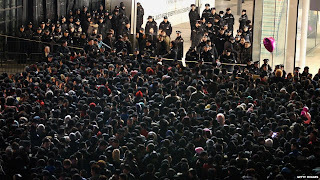 As promised , selling of the iPhone 4S in China and in other countries has begun. No Apple product was launched without long lines and frustration but all the expectations have been exceeded now. 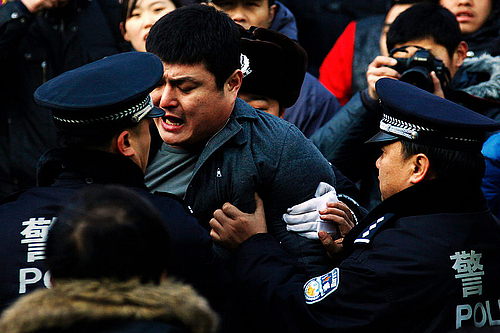 Some fights were breaking out near the Apple’s “main store in Beijing” between the people who just wanted to buy the phone. Some of them waited overnight in the freezing cold (-9 degrees) to become the first to purchase the phone. Therefore Apple has decided to postpone the retail availability of its iPhone 4S at the stores in Beijing and Shanghai. People can get the device through Apple’s Web site or buy at China Unicom and other authorized resellers.